Writing and surfing: basically the same thing. Writing, I decided one night, after consuming two Stellas, is a lot like surfing. Nonsense, you might say, writing is nothing like surfing, but you would be wrong. In fact, I would go even further and say that writing is like pro-surfing. For a start, your friends will be watching your career with great scepticism. Being a pro-surfer, just like being a writer, seems to many people a ludicrous dream. The first time you state your intention of making a living in either of these fields, you will be discouraged and possibly even laughed at. And with good reason: it is very hard to make money out of surfing or writing; lots of people enjoy doing these things, but as a hobby rather than a career, and just who the hell do you think you are? There might be some opportunities to teach these things (surf coach, creative writing tutor) if you’re good enough or know the right people, but the available jobs are few and far between and competition for them is fierce. If you do happen to get sponsored/a book deal you will find that there are many critics in the world. Lots of them will be lovely and make excellent points, which you will take on board, but others will make cutting (often hilarious) remarks about your surfing/writing technique, call you all sorts of unpleasant names and beseech you to stop, for the sake of their eyes, which will be bleeding. You will attend events where the order of business is to promote your brand and sometimes you will be asked to sign books/posters and on a good day you’ll make new friends who will enrich your life and you might even be offered complimentary wine. In the back of my book, I thank my family for ‘helping me to the surface so many times when I was drowning in the impact zone of modern publishing’. The impact zone in surfing is where the waves break and it can be almost impossible to push through those turbulent waters to the calm of the line-up, which is where surfers wait to catch waves. For a time you have to put up with wave after wave breaking on your head and pushing you backwards, which is sort of how it feels to receive agent and publisher rejections. But, eventually, you’ll either give up and retreat back to shore or reach the line-up where you might just surf the most amazing wave of your life. Or, uh, something. 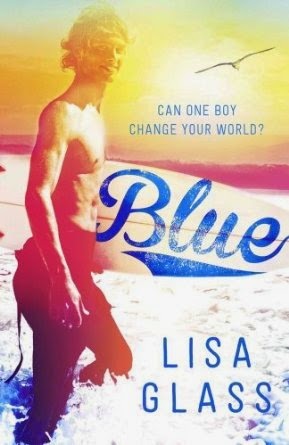 Lisa Glass is the author of Blue, a YA surf romance published by Quercus Children’s Books, 5 June 2014.